Jyske Bank is the 4th largest bank in Denmark with 800 employees in the head office and 130 branches. Connection’s brief was to create a friendly and relaxed atmosphere with informal yet private meeting spaces for this new branch. Hive was selected for its excellent acoustic and visual screening properties. 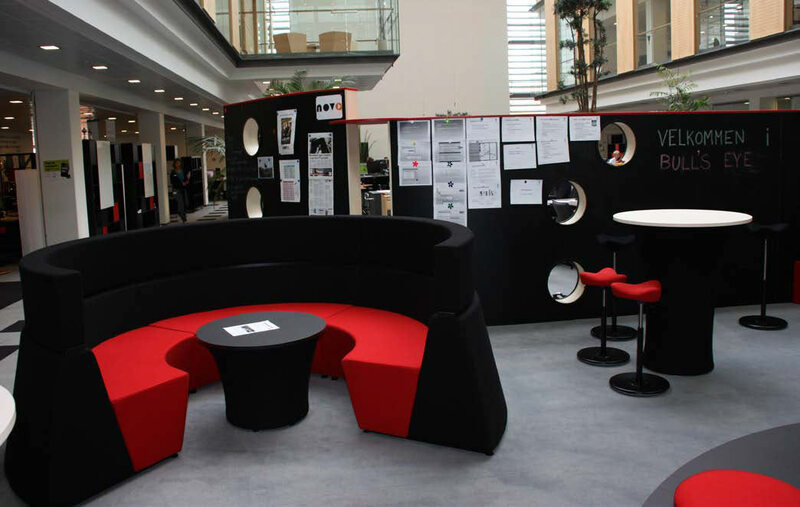 The Hive pods create a versatile space that allows customers to interact with account managers in an informal, semi-private setting.